I thought this was such a good presentation to listen to and the timing was impeccable. In her talk she gives ideas on how to practice and prepare for a recital. Everyone I know is preparing for a recital right now. 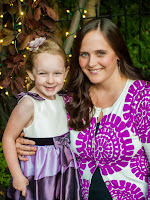 My girls have a recital with their teacher in March and all of my students have a solo recital in March as well. She give an example of a home made chart to help guide the practice. I took her idea and made up a hand-out to give to each of my students as well as my kids. Basically you determine how many times you need to play your piece to be ready for the recital (this chart has 30.) Come up with some colors (or shapes or stickers) that correspond to whether you played the piece "good", "great", or "WOW!" Phala explains that if it's not even good - just don't mark the chart. The piece probably needs more work. The level of how good the piece is played is determined by the teacher or parent and also the student. You want the student to be able to assess how well he or she is playing and have them decide which color they should fill in. I will post back later to give you the progress of my children and students. This is perfect for this month and I hope you enjoy it too. 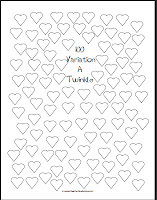 You can download this chart at downloads.thepracticeshoppe.com. I'm amazed at how my 3 year old's attention span is increasing. It can sometimes be hard for a new parent practicing with their young child to imagine the future with their child practicing for 15, 20, or even a half hour. At first practicing is really just about 5 minutes. I mentioned a while ago that my darling daughter was practicing 10 things a day. That's it! We would flip a bead on our 10-bead counter for every little song she played. She only had about 5 little pre-twinkle songs in her repertoire so we'd play them an average of two times per day, but some days some would be played more and some less. At the time I remember thinking, "I'm only having her play everything twice? That doesn't seem like enough, but she won't stand still for any longer." 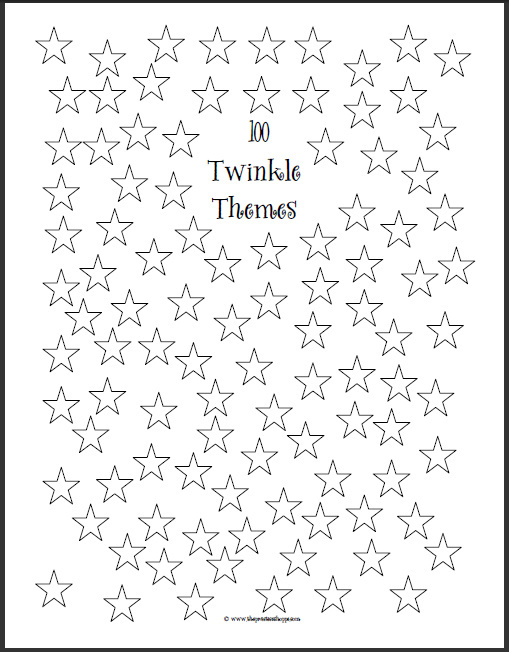 Now that we're working on Twinkle we've upgraded to the DOUBLE bead counter - 20 beads. She now plays 20 things during her practice and the goal is to get AT LEAST 3 full Twinkles in, but I hope to get as many as 5. She still so little (3 years and 8 months) and doesn't like to play the whole Twinkle song too many times because it's so long. She does great at breaking it apart into sections. She also reviews all of her pretwinkle songs and is starting the "bread song" on all the other rhythms and is now learning the notes with flashcards - we're working on open strings right now. She's basically in charge of her own practicing and she always gets it done because she get's a piece of gum after she practices every day if she finishes the entire bead counter. 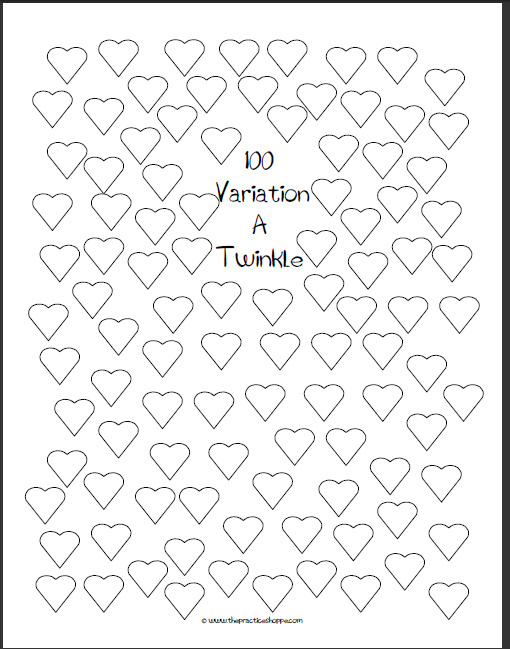 We are working on a 100 chart for Twinkle Variation A. I will also start a 100 chart for Twinkle Theme when she learns it. 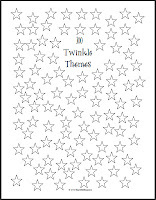 After she completes those charts and can play through all the twinkles with the piano she'll earn her Twinkle Trophy! I'll be sure to post about that when it happens! The double-bead counters are made to order. If you would like to order one you can e-mail me at leslie@thepracticeshoppe.com. You can look at the website: www.thepracticeshoppe.com and look at all the choices of bead counters. I can make almost all of them into double-bead counters. Some of them already have them available online, but if there is a design you'd like that I don't have available just let me know and I'll see what I can do. They are $10 each. Musical Notes Dice: These dice are notes in the pentatonic scale. The pentatonic scales is the basis of most of American folk music and combined together can create very musical tunes. I've used the C pentatonic scale for these dice because they are the easiest to play on the piano (C, D, E, G, A, and C). Use these dice to randomly create a melody. Roll one die several times or use 4, 5 or 6 and see what melody you come up with. Use this with the rhythm dice, or create your own rhythm to come up with a basic theme. Then you can elaborate on that theme by repeating it, adding notes, changing the rhythm, creating variations, etc. This could be the very basic start to composing a piece. Roll the dice and name the notes. This would be similar to using flashcards, but it would reinforce only these 6 notes. Use the die to determine how many places that note can be played on the instrument - and then how many octaves could be found with the same note. These dice would be good for deciding which scale to play in a group setting. Or, it could be the starting note of an easy piece - to help with transposing on the instrument. "Play it, don't say it." Roll the die and play the note on the instrument instead of saying it. The dice adds a dimension of tactile learning that flashcards don't have. This is great for the "hands-on" learner. For violin students, roll the die and use that note as the starting note using 1st finger (playing in different positions) of a scale or piece. What are some ideas? I'd love your comments! You can purchase these dice exclusively from The Practice Shoppe at this link. January concluded the Flashcard Club in my studio. I really like making sure all my students know their notes and flashcards are a great way to do this. However, I don't have a lot of time to spend in the lessons to do this, so I just focus on it for one month out of the year. Each January we dust of the flashcards and I give everyone a goal - and if they accomplish their goal they are part of the Flashcard Club and I put their name on my wall. It's nothing fancy, but it sure gets the students motivated and I'm happy at the progress they are making. Some people love flashcards and zip through them and some people just aren't flashcard people and it's not their ideal way of learning. This is why I make everyone's goal different. I use these flashcards for violin because they have the note name and the position of the finger on the back. This is perfect for parents who don't know the notes very well. It also has all the main notes that are played on the violin; not the whole chromatic scale, but the ones they will be learning up to Book 4. After that they can easily find a D-flat on the A string if they need to. I also like these flashcards because they are divided into color by string. This is helpful for the students who struggle with flashcards. I let them mix the notes up within the color, but they can focus on one string at a time. Most of the other students the flashcards are all mixed up. The student must say the name of the note and then pluck the note on the violin for each card. *All A Scale (upper octave) and open strings in 1 minute or less. *All notes played on tapes in 1 minute or less. *All natural notes in 1 minute or less. *All notes in 2 minutes or less. After the students can do all the notes in 2 minutes or less I move them onto different flashcards. *All major key signatures in 1 minute or less. *All major and minor key signatures in 1.5 minutes or less. *All 3rd position notes in 2 minutes or less. Some students got their name on the wall more than once. Year after year the flashcards get easier and I find that my students know their note names pretty well.